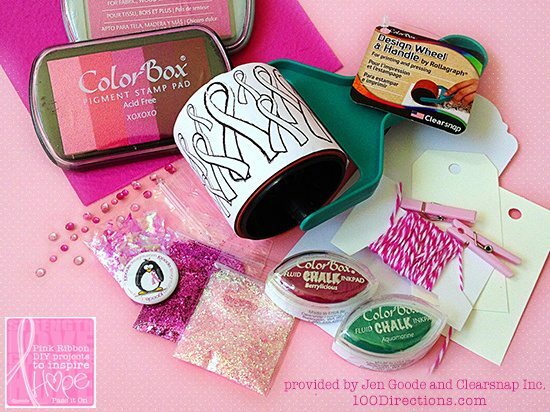 So, because breast cancer has been looming in my life in one way or another since the age of eight, when Jen Goode of 100 Directions asked if I would like to use the Hope Ribbon Stamp Wheel that she designed for Rollagraph to participate in a Breast Cancer Awareness Blog Hop, of course I said yes! I actually really wish that breast cancer awareness (BCA) month was NOT October. Since I am SUCH a Halloween freak I end up not getting into BCA month at all, but if it were in a month like January I think I would love to embrace the pink and go big with it. Oh well, c’est la vie. Here is what was in the fun little package that I received from Jen in the mail. Would you like to win this box of pink goodness and joy?! ENTER HERE on Jen’s website. I would include the giveaway here, but I have something else up my sleeve for the end of this post, so read on. 🙂 I noticed that the entries for this prize package are much lower than they should be, so your chances are excellent! HURRY! 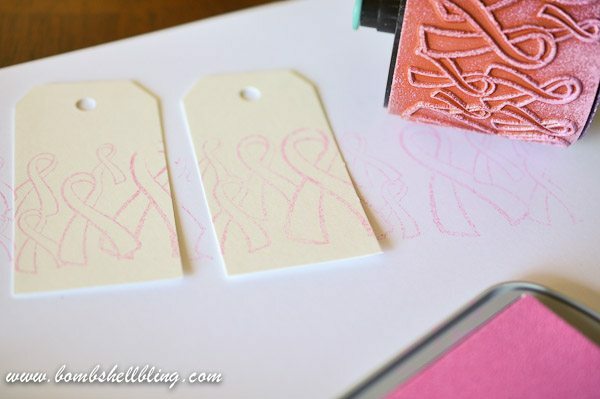 Additionally, EVERYONE can access free printables made by Jen about BCA on THIS post. “Fight Like a Girl.” I LOVE IT!! Now, back to my craft. 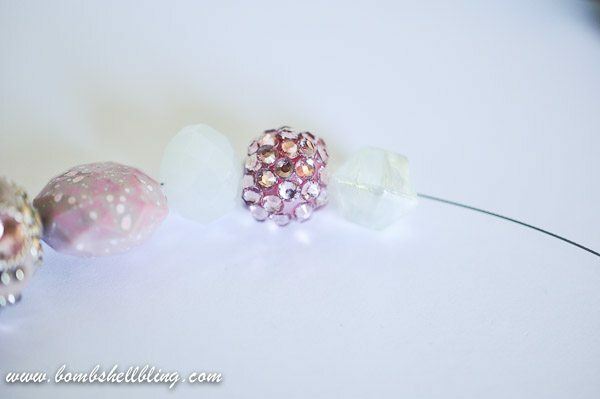 While I do enjoy papercrafting and cardmaking, it’s not truly “my thing.” However, jewerly making IS “my thing.” I was in JoAnn’s Fabrics and I spotted these beautiful pink beads, all pre strung and ready to wear. They were on sale, so I didn’t even try to resist. I grabbed two strands of them and headed home to whip out two bracelets in five minutes flat. Now, I do have a lot of practice, but you should be able to do it in a avery short amount of time as well! I am pretty pumped that JoAnn’s now carries these pre-arranged beads. 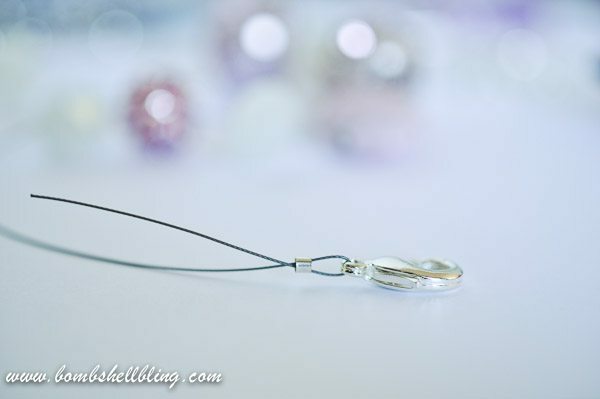 They are a dream for bracelet and necklace making and will make it very easy to share ideas for beginning jewelry makers! Yay! So let’s learn how to make a BCA bracelet now, and then we will revist that fab rolling stamp for the bracelet’s tag. 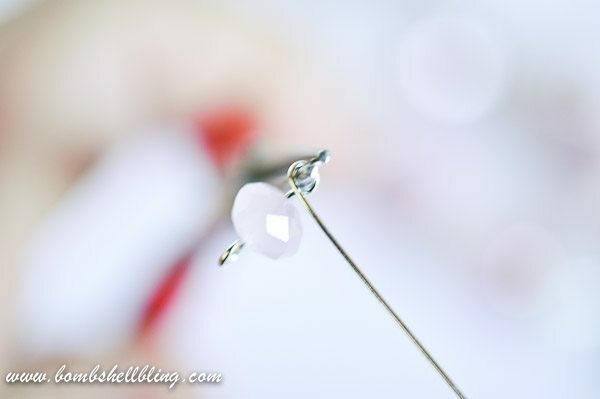 Begin by simply stringing the beads onto the beading wire. 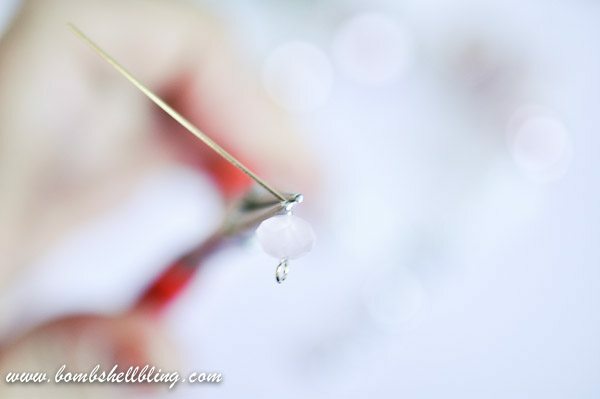 Place a crimp tube (bead) onto the end of the wire, loop it thorough the hole in the lobster clasp, and back through the crimp tube (bead). 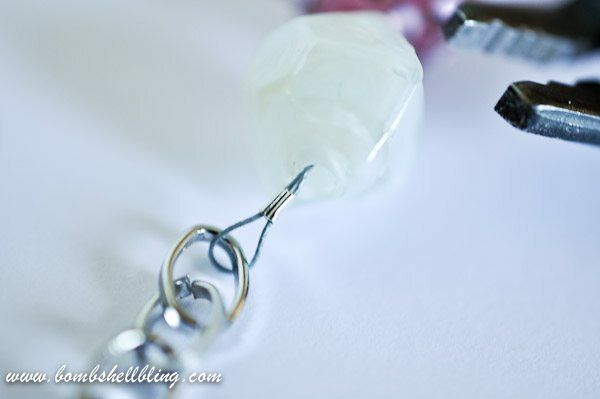 Take the inner divet area of the crimp pliers (shown above) and squeeze the crimp tube (bead) in it, which will leave a divit. Now turn your crimp tube (bead) abut 45 degrees and clamp down on it with the outer area of the crimp pliers to squeeze the divit shut and seal everything in. 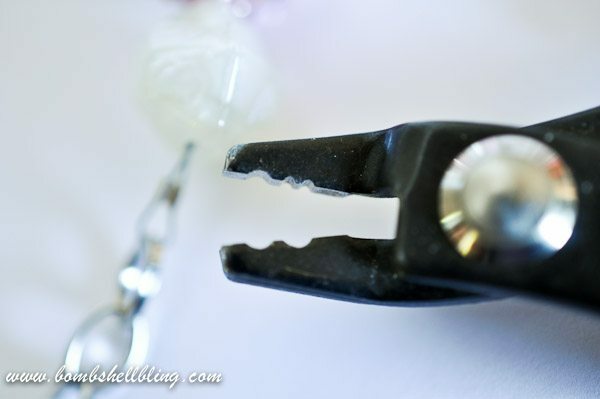 Use your wire snips to trim the wire. 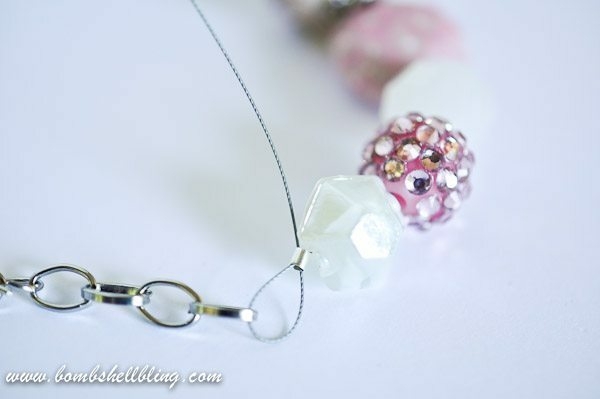 This is optional, but to add a fun finishing little detail I took an eyepin and put a small pink crystal onto it. I used my round nosed pliers to bend the wire and loop it back around. At this point you will thread it through the final chain link. Now twist it around the base and snip off the excess wire. Ta-da! Simplest thing EVER, right?!?!?! 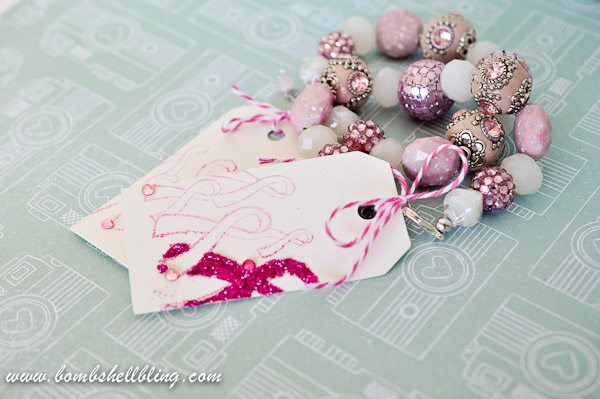 To make some fun tags for my bracelets I used precut tags and simply rolled the Hope stamp onto some pink ink and over the stamps. 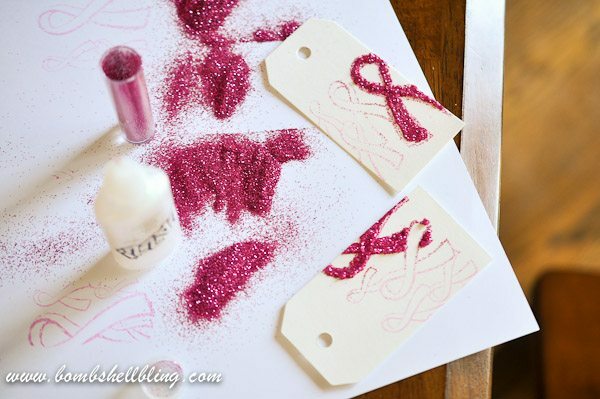 Next I jazzed up one pink ribbon on each tag by filling it with glitter glue (although regular glue would be just as efficient, if not more so) and sprinkling dark fuschia, very fine glitter over the top of the glue. 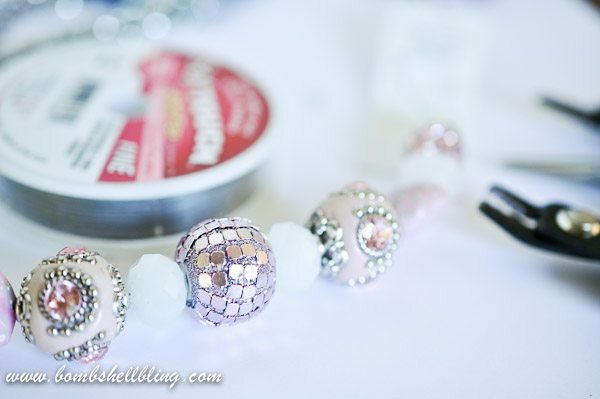 Shake off the excess glitter and embellish with tiny rhinestones if desired. What do you think? Do you like this project? Do you think you will attempt it? Check out the other BCA projects that have been shared thus far in this blog hop. Now for the fun part. I am really excited about this! I have two bracelets, but I never really wear bracelets, so I thought that it would be fun to give them both to YOU! I know there have been a LOT of giveaways lately, so bear with me. This isn’t just a Rafflecopter giveaway, however. This is something that feels much more personal to me. Do you know a breast cancer survivor? Are YOU a breast cancer survivor? Tell me your survivor’s story and why she deserves a bracelet (tell your OWN if it’s you!) in 1-10 sentences maximum in a sentence and I will randomly draw a winner from all of the survivor stories in one week, October 18. (I couldn’t possibly choose who was the most deserving by myself! You are ALL deserving!!) The winner will receive BOTH bracelets! One for your survivor, and one for you! If YOU are the survivor then you can give the second bracelet to a friend or loved one who supported you in your fight. I am so excited to hear your stories! Bring ’em on!! Absolutely STUNNING bracelet, I love it! 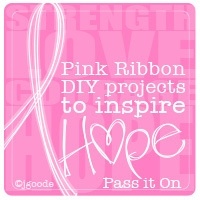 Thank you so much for participating in the Pink Ribbon blog hop this week – I’m so glad we’ve crossed paths. My cousin Holland is a survivor. She was diagnosed when her sone was 15 months old because he would no longer nurse. She had thought the lumps she felt were just clogged milk ducts, she calls her son her canary because he alerted her that something else was wrong. She then went through chemo and a mastectomy and is now cancer free. Wow! What a story! I have a soft spot for young mothers who fight this battle. That’s the exact same thing that happened to me! I was diagnosed with Stage 3 breast cancer last Fall while I was breast feeding my 2nd daughter. The doctors thought it was just clogged milk ducts but fortunately sent me for a mammogram–which unfortunately showed that it was breast cancer. I went through chemo, radiation, mastectomy too. I’ve been trying to document my journey at my blogsite http://www.technotini.com under the category “technotini-pink.” I’m hoping my story can help and inspire others. I’m glad to hear your cousin is doing well. I know I’m going to be fine thanks to all the breakthroughs in treatment. Together, we can all work to find a cure. 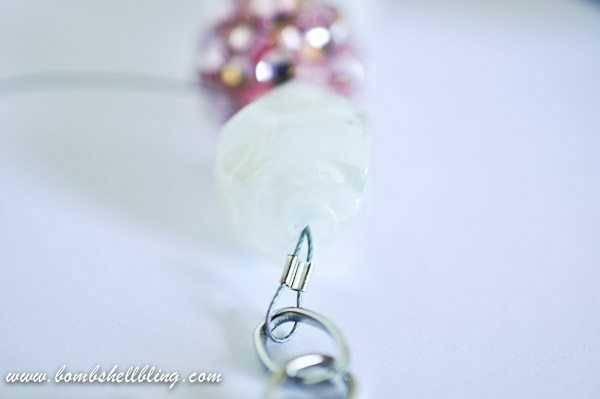 Sarah-thank you not only for the great tutorial (Makes me want to learn how to make jewelry. 🙂 ) but also for your beautiful story. You can tell your mom lives on through your work. BTW–i’m sorry i missed the contest to win the bracelet, i literally just discovered your site today while just browsing around Pinterest. the internet really is just a big ole web of information. 🙂 Well, better late than never. I’ll definitely “follow” your blog. thanks! I was diagnosed (Stage 2) in Nov ’06 (Based off of a shadow on the mammogram) – had a lumpectomy .. chemo and radiation – my sister was diagnosed in Nov ’07 (Stage 4) … she had double mastectomy, chemo and radiation.. I’ve had a couple of biopsies because of questionable things on my mammograms … (Hurray for my Imaging Drs!) .. so I made the decision to just get rid of them… yesterday was my 3 weeks post surgical celebration! (Not that I can do much yet..) – The good news .. I have reduced my chances of recurrence (considerably) .. the better news.. the pathology report came back and there was DCIS Stage 0 just beginning in my opposite breast from the one in ’06 .. dodged bullets both times… Now everyone I meet .. they are going to know that early detection saves lives (it’s on my license plate) – My other sister .. even tho’ she had clean and clear mammograms .. with two sisters having breast cancer .. decided on the double mastectomy route – her pathology report came back without cancer cells .. but it did show cells that were pre-cursor to cancer… If I am fortunate to win the two bracelets .. they are going to my sisters! WOW! A family of fighters! Thank you for sharing your story! Beautiful bracelets, Sarah!! Thanks for sharing! My mom is a breast cancer survivor. She always had a great attitude during the entire ordeal, and came out a trooper. So grateful she fought through it and is still with us! My grandma (her mother) also is a survivor. I’d probably give both bracelets to them because they have done so much for me and I’m so grateful to have them both still in my life. What a blessing modern medicine is!! I’m so glad that they are both survivors and fighting to stay in your life! I have three stories to share. So my first two stories are about the families and friends who are left behind. Because in this case, they are the survivors. Two years ago I lost my dearest friend and mentor to the fight. She was barely 50. She was a mover and a shaker–she ran a UN NGO and fought for women around the world for years. She raised beautiful sons and often said, “God didn’t give me girls because he knew that I would adopt all the little girls I needed from around me.” She taught dance to little ballerinas for years and then became the kind of mother-in-law we all wish we had. Susan Dayton took me under her wing during our medical residency years–she nurtured me and took me on a trip of my dearest heart’s desire–to the United Nations in NY to meet with women from other nations. Her legacy is a long line of women she has nurtured as well as her boys and their stalwart and good families. That same year, I buried my friend Marty. She was the little sister of one of my good friends at church and was the kind of person everyone wants to be around–smiling, friendly and truly caring. She died because her breast cancer appeared in her leg–and they didn’t know it. We miss her so. Her sister and her cousin run races in her name, and have raised money and awareness everywhere. This battle is far from over because people like them continue to fight. Oh and one more survivor: My dear friend from my BYU Law School Days. Alyssa is a young and vibrant lawyer. She worked at a high powered law firm in NYC and was enjoying the life of the successful young professional. Until last year. She has fought and she overcame breast cancer and now she fights to regain her life: the desolation of losing time and energy and health. The easy-living we all take for granted doesn’t return easily to those who have fought the fight. These survivors battle drug reactions, on-going pain and a reduction in energy for a long time. They are forever changed by breast cancer–and so are we around them. Alyssa is an avid sponsor of organizations that advocate for ways to help young breast cancer survivors recover and take back their lives. She is a SURVIVOR. I didn’t realize you were so close to Susan Dayton! I have heard SO many wonderful things about her from Rachel! Thanks for sharing your survivor stories! These are beautiful! and I would love to win them for my Grandmother (Oma) who loves jewelry. She is a Breast Cancer survivor. She battled Lung Cancer, Which spread to her breast the she eventually had to have removed to prevent the cancer from spreading further. With the help of chemo she overcame the cancer. Unfortunately her lung cancer came back and she is now stage 4, but she is a strong positive woman and continues to enjoy life the best she can! She sounds so amazing, Andrea! My cousin Heather gave me a whole new insight to the phrase “fight like a girl.” Heather was a young mom to a handsome little 2 year old, and pregnant with her daughter when she discovered her lump. Heather and her unborn little girl had to fight with everything they had. She had to be more cautious with her treatment because of her daughter. They are both survivors and thriving. In Dec, her little girl will turn 2. Today Heather is cancer free and inspiration to everyone that is blessed to have her cross their path. I know all the stories you will hear will be deserving of your prize. I’m sorry for your loss of your mom. WOW! What a woman!! Thank you so much for sharing! Sarah this bracelet is gorgeous and for such an amazing cause! I do not have any immediate family members that are breast cancer survivors but I do have a co-worker that is currently in remission. She has been such a warrior and continues to come to work even on her worst days. She is a true inspiration. Wow! I would be in bed all day! What a woman! I hope to soon call my sister-in-law a survivor. She has survived losing her mother to breast cancer, her father to lung cancer, and her 11-year-old son to a brain tumor. This Monday the 14th she will have a double mastectomy to help fight her own battle with breast cancer. She is a tremendous example as a mother, wife, family member, and a beloved member of her community. Through all of her battles she has continued to be strong in her faith and to bless others with her joy, humor, and friendship. After all she has been through, and having watched her loved ones lose their battles with cancer, it is time for her to experience a victory and to know that all she has been through has prepared her for what is ahead. We love her dearly and know there are angels watching over her. Thanks! Oh my word!!! Too much loss for one person! What an inspiring and strong woman she must be! My grandmother passed from breast cancer. 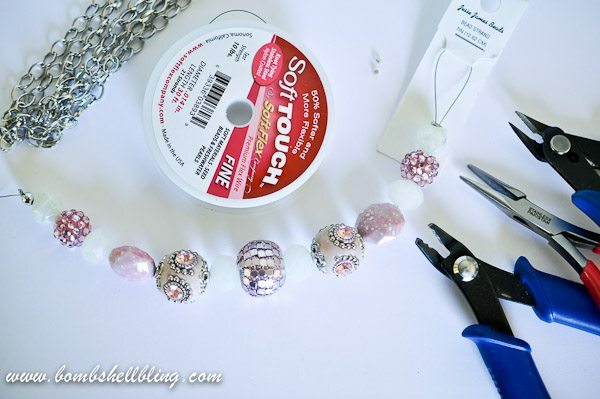 I would love to attempt making this bracelet. We participate in the breast cancer walks in our state yearly in her memory and all the other breast cancer fighters and survivors. 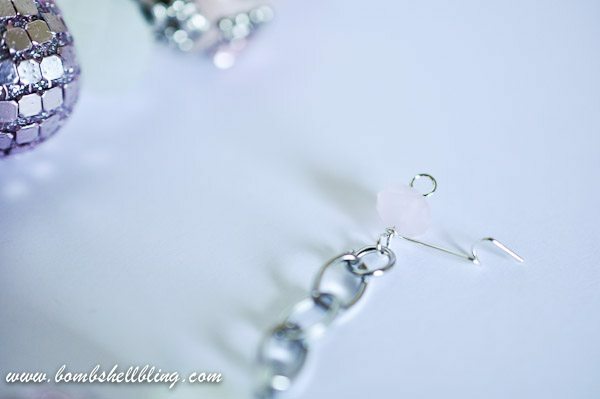 This is a way cute bracelet that could accessorize any outfit. 🙂 Thanks for sharing. Thank you for sharing your grandmother’s story! Hi Sarah – This is beautiful and what a way to honor your mother. I am a BC survivor and it means a lot to see others who are so supportive. Would love to have you stop by and link up at my Pinktastic BC Awareness party. My mother-in-law recently went to her 10 year cancer screening check up and was given a clean bill of health. They told her she did not have to come back every year because she has been in remission for over 10 years. Last week she went to an eye exam where she was told she has a spot in her eye that might be cancerous. After being so relieved and finding out she has been 10 years without cancer was amazing to see from her. Now she waits to find out if she has cancer again. Oh how terrible!! I hope it comes back clear! My sister is a breast cancer survivor. She survived her diagnosis, surgery, a mastectomy, chemotherapy and finally reconstructive surgery – all with the best attitude! I admire her for her strength, unwavering faith and courage. It has been 7 years since her diagnosis & treatment and so far all is well. I am so proud of her. She is willing to share her story and help out those who are currently facing their cancer journey. She is an inspiration to me. I love this. I don’t have a survivor story to share, but this issue is close to my heart. My mom passed away when I was 8 from a 4 year battle with breast cancer. 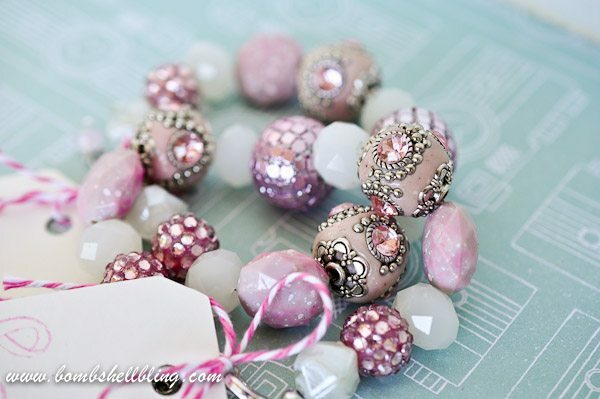 I will have to look for those gorgeous beads so I can make my own bracelet. Hugs to you! Have you ever read the book Motherless Daughters by Hope Edelman? It is an emotional, but excellent read. My mom is a Breast Cancer Survivor of 10 years. She fought a hard fight, and I’m grateful that she is still with us. My dads mom is also a Breast Cancer Survivor. If I won, I would probably give the bracelets to both of them. I’m so grateful that they are both survivors and still here with us. So sorry you lost your mom when you were 21, after a long hard battle. Losing a parent at that age can be so hard. My sister was almost 19 when my dad passed away from Colon cancer almost 5 years ago. So sorry about your dad! :/ Yay for Mom and Grandma, though! Strong women!! !